Vancouver punk act Nervous Talk released their excellent self-titled debut earlier this year. Unfortunately, that's the only way you'll be able to enjoy their music for the next little while, as the band have been forced to go on hiatus after a trip to Vancouver's PNE turned violent. 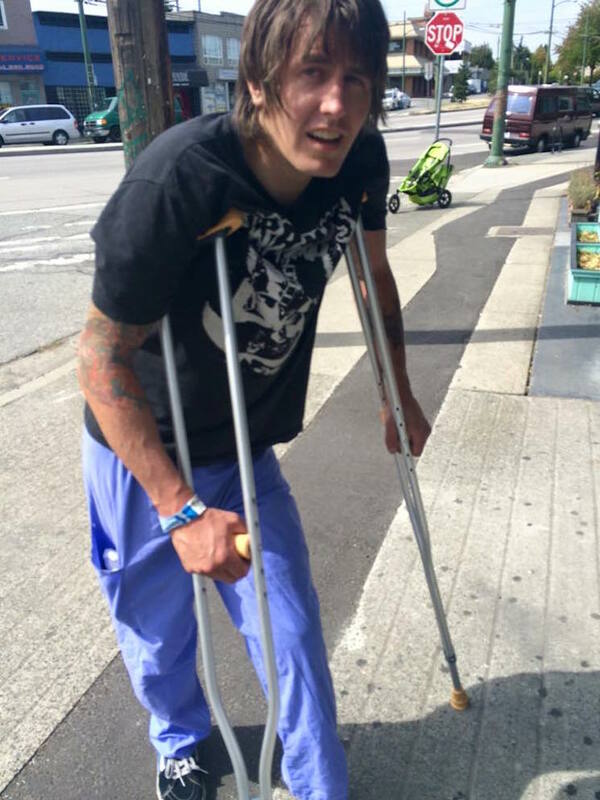 Shout out to the PNE for their great security staff, for stomping on Shane's knee cap, fracturing his femur and tearing his ACL, worth mentioning the nice black eye from kicking his head in, Nervous Talk won't be playing any shows for the following months. Thanks beefcakes. We've reached out to the band for more details on what happened and will update when they get back to us. In response to social media posts regarding the alleged conduct of PNE security staff, the organization would like to provide clarification around the events of Wednesday, August 26, 2015. At approximately 12:15 am, two members of the PNE security team reported to the Italian Gardens area of Hastings Park after receiving multiple reports from PNE guests and staff about an intoxicated male urinating on an electrical box in the main food area of the park. The two PNE security staff observed the individual urinating on the electrical box and approached him. At that point the witnesses observed the intoxicated male attempt to punch one of the security staff members. Three additional individuals (one male, two females), all also believed to be intoxicated, joined in. The first security guard fell with the first intoxicated male, landing on top of him. Additional security staff and members of the Vancouver Police Department attended the incident within 90 seconds of the initial call. Three members of the party were detained by police at the scene and the matter is now with VPD. One of those detained, the first male involved in the incident, was taken to hospital complaining of a leg injury. A large number of independent guest statements corroborate the version of events above. Stream Nervous Talk in full below.